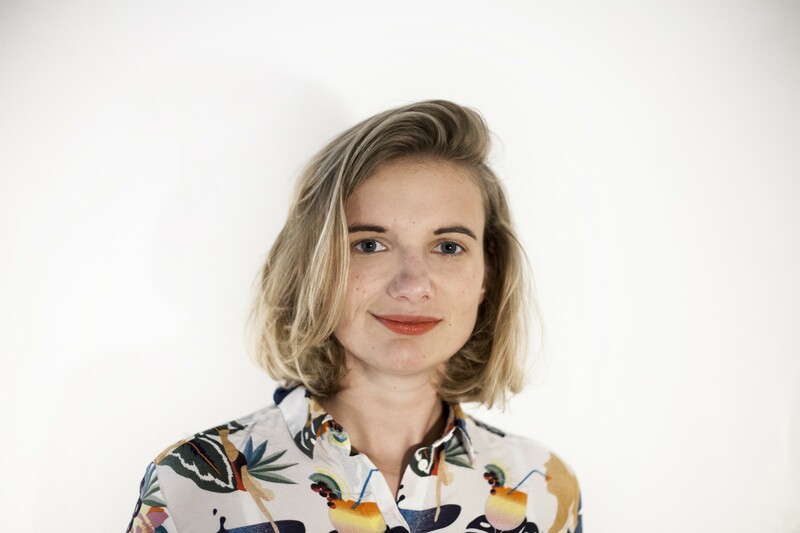 Charlotte Wielage, born in Lingen (Ems) in 1988, is a graduate designer (Dipl. Designer) who has studied and worked in Bielefeld, Darmstadt, Kauaʻi (Hawaii), The Hague (Netherland) and Hamburg. Her works include graphics, illustration and film. She participated in exhibitions and film projects. Furthermore she wrote and illustrated a children's book. From 2014 to 2017, Wielage worked as an Art Director at Kopf und Steine GmbH in Hamburg and has been mainly responsible for the entire design of the festival formats MS Dockville, Spektrum, Vogelball and MS Artville. She made many Artworks for the different Festivals.